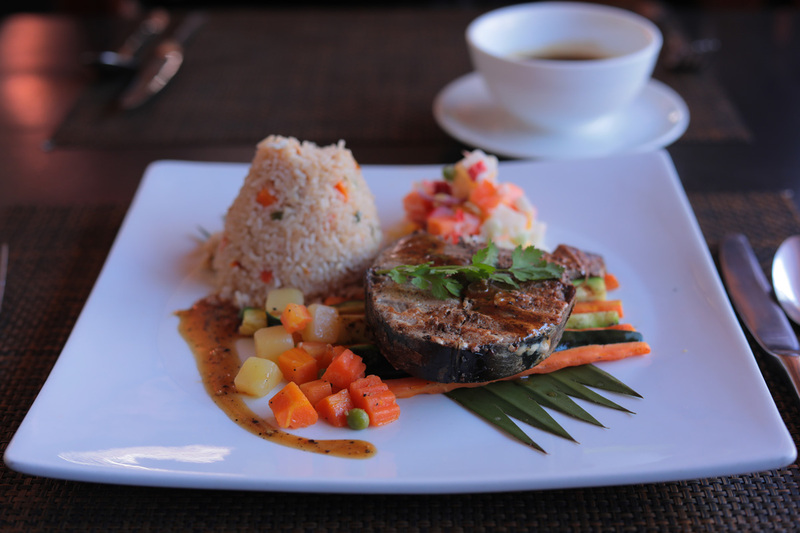 Grilled marinated beef tenderloin massaman curry sauce served with egg fried rice and salads. 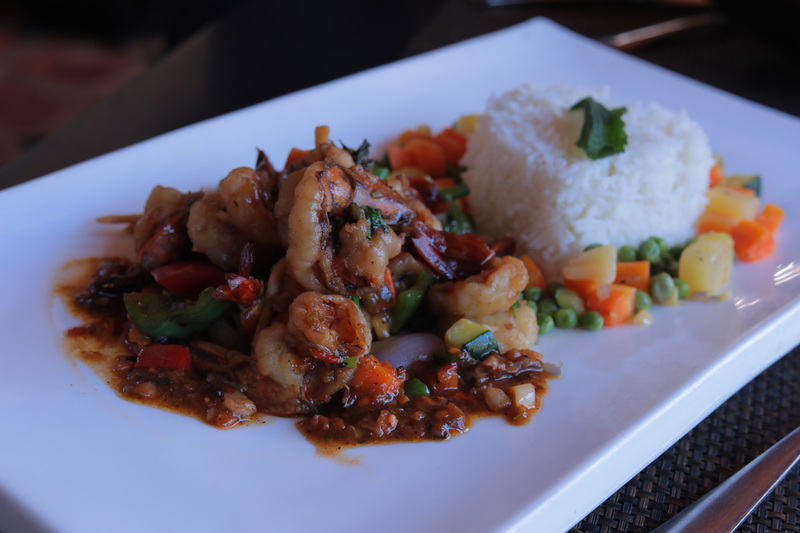 Stir-fried prawns in hot basil sauce served with rice & salads. The thai style stir-fried chicken in garlic & pepper served with egg fried rice & salad. The fried crispy rice noodles with grilled marinated breast. 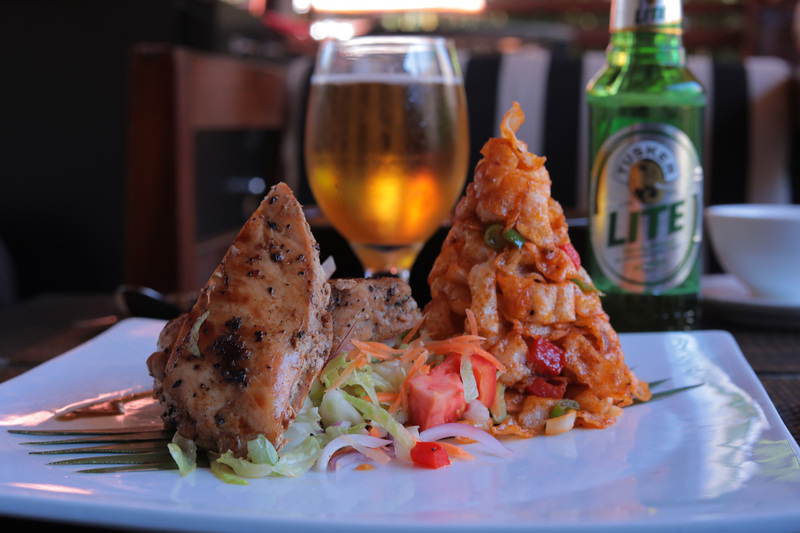 Grilled marinated king fish with pepper served with jacket potatoes and salad. 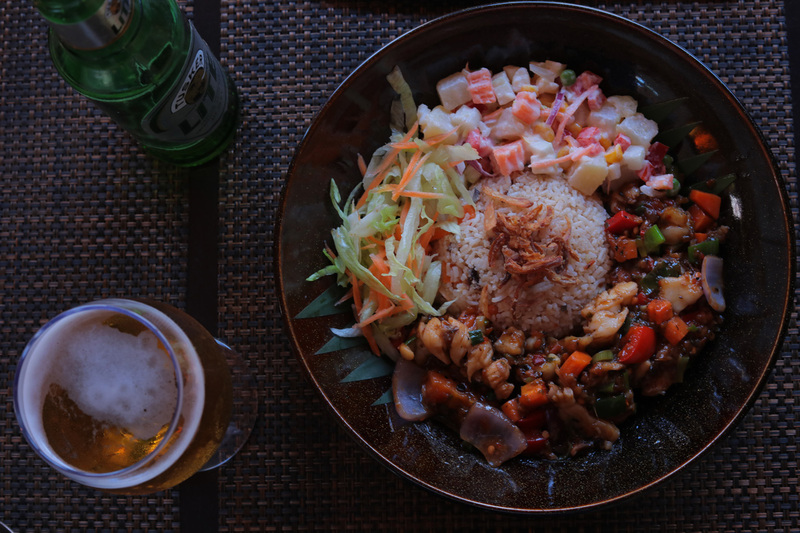 Stir- fried lobster in oriental black bean, chili and ginger sauce served with egg fried rice salads.